Today was another good day. I started with either 80 or 100 push ups. I lost count near the end and I’m not sure if I did 80 or 100. I’ll call it 80 since I’m not sure. Anyway, I’m really proud of my son because he is bow up to 40 push ups. He started three weeks ago with 5. I set out with a decent pace and ended up with a respectable time. A tiny bit slower than last time, it it was a lot hotter out. Weather really does make a difference. 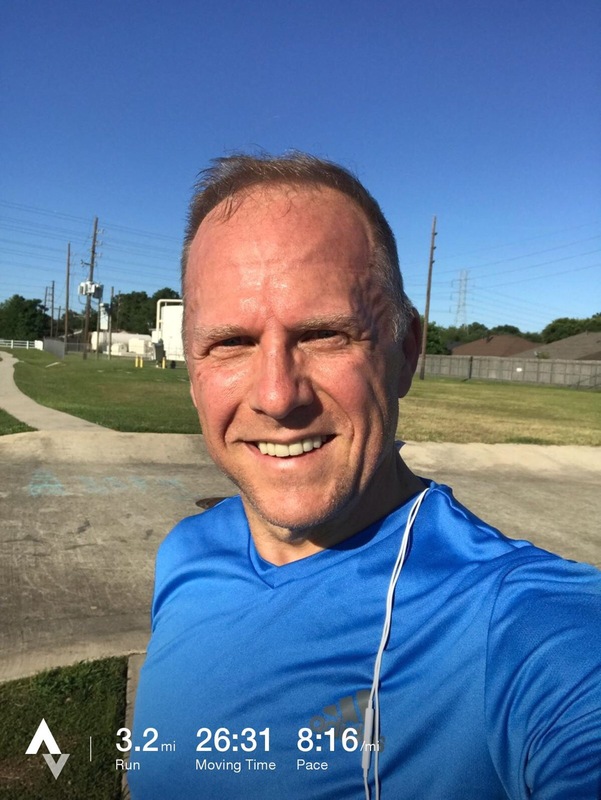 My son also kicked it into gear and finished his longest distance of two miles with sub-10 minute miles. I’m really proud of his effort. 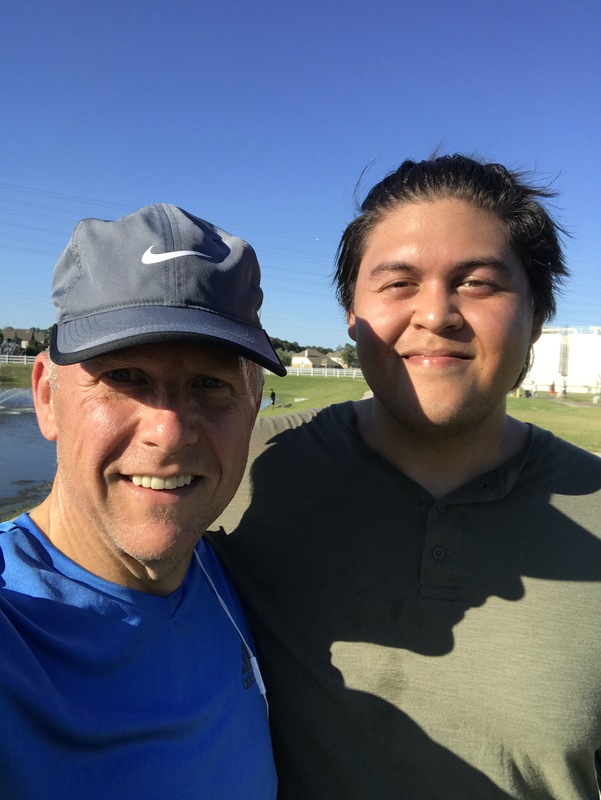 My son Brendon and I after our run today. We both did our post-run weigh-ins, and while I was back in a good range at 168.7 lbs, he set a new low of 234.1 lbs. that’s down nearly 30 lbs in 6 weeks! The kid is working hard, and it’s showing!